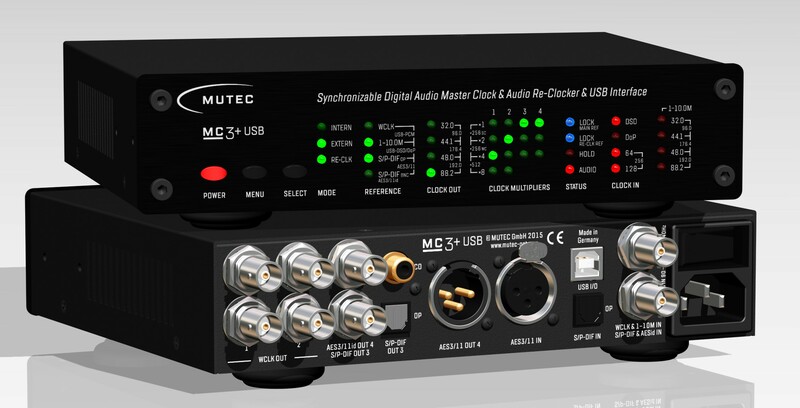 The MC-3+ USB sets a new benchmark for clocking technology and digital audio reproduction by uniquely combining an audiophile USB interface, sample rate converter, master clock, and audio re-clocker. Using a higher quality clock source allows for more accurate playback timing between samples in the digital audio stream. Any drifting or inaccuracy between each sample creates phase-noise and jitter, resulting in degraded imaging and audio quality. 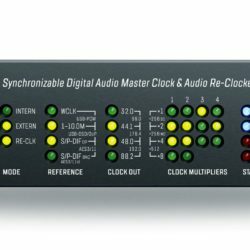 By improving the clock sync reference and conversion of your digital signal, your playback system will provide increased precision, clarity, and improved sound stage. The MC-3+ USB presents a user friendly, compact format, where you can achieve high quality re-clocking and conversion previously limited to more costly hardware. The MC-3+ USB enables bi-directional audio format conversion between USB audio streams, AES3, AES3id, and S/P-DIF signals. 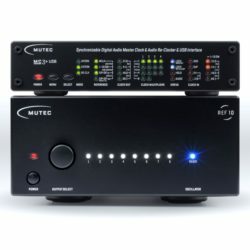 In addition to an array of digital outputs, there is a full set of digital inputs for AES3, AES3id, and S/P-DIF signals with BNC, RCA, and optical connectors. USB audio streams are converted to five digital audio outputs, allowing multiple devices to receive the same audio simultaneously. The MC-3+ has its own built-in re-clocking capability or can sync to a higher rate clock device such as the 10 Mhz MUTEC REF 10. By using MUTEC’s proprietary 1G-Clock technology, the audio sample rate is reproduced more accurately resulting in improved audio fidelity, imaging, and accuracy. 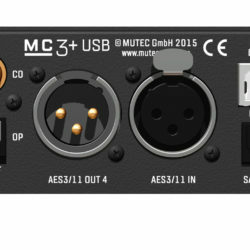 The MC-3+ USB also includes clock outputs, allowing to act as a clock distributor to multiple devices in the studio or live sound. Many D/A converters are not capable of reproducing and converting audio via USB at the highest possible level, which is why using digital audio inputs such as AES3 or S/P-DIF yields significantly better results and is usually preferred. 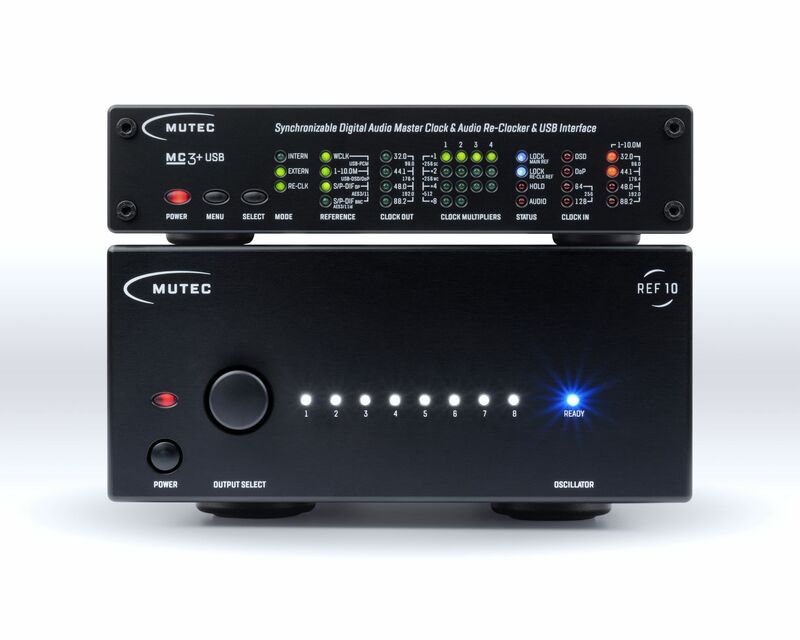 MUTEC has invested considerable research to uncover and solve the underlying problems to achieve high-end audio via USB. Electromagnetic interference of any kind, particularly such as that caused by computers, will induce noise into the audio stream. The MC-3+ USB incorporates a USB interface galvanically isolated from other parts of the circuitry. The power supply is also independent from the main board, with other components in the main circuit also isolated, resulting in exceptional noise reduction previously not thought possible.